This Sherwin Williams sign is a side mount porcelain sign. The sign is green, yellow, red, white, and black. 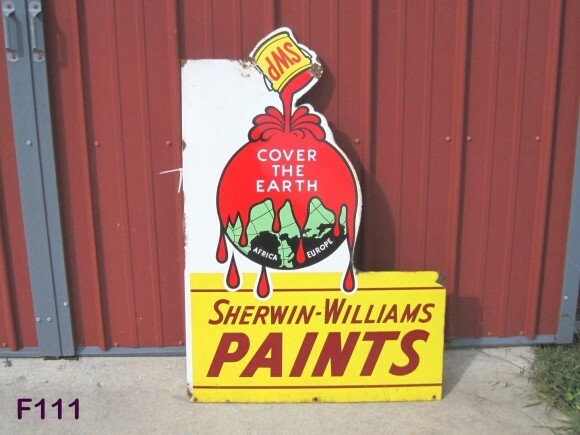 The text on this sign reads “SWP Cover The Earth Sherwin-Williams Paints.” The sign shows paint being poured over the World.